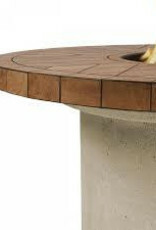 With its classic shape and durable tile top, the Ogden Chat Height Propane Fire Table will add sophistication to any outdoor living space. 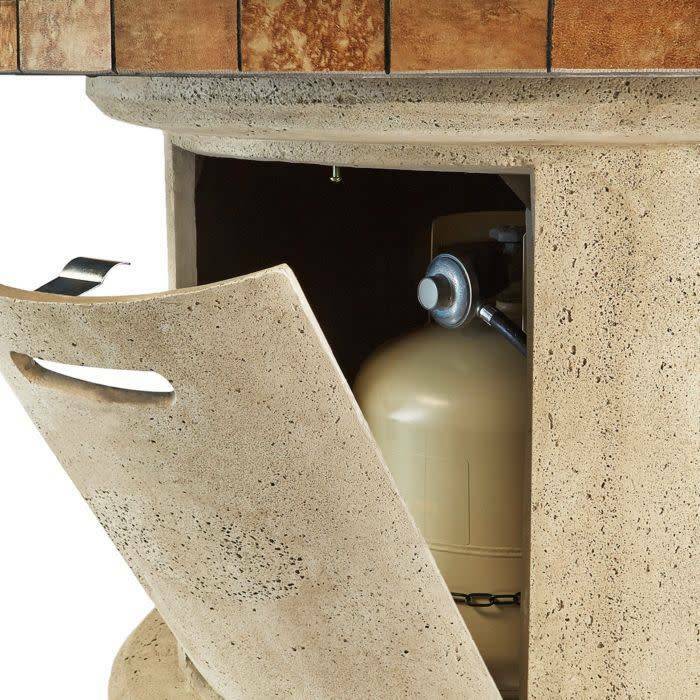 The Ogden conveniently hides your standard 20lb propane tank from view in the fibre-cast concrete base. 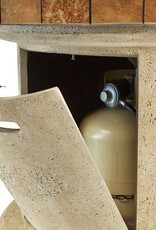 The Ogden operates at a maximum of 40,000 BTUs, offering warmth and a beautiful ambience. 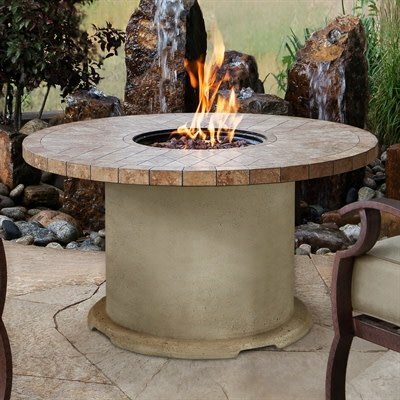 Features include a tabletop lid to hide the burner when not in use, push-button ignition, lava rock filler and PVC cover. 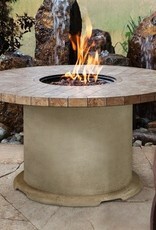 Available in Sand finish. 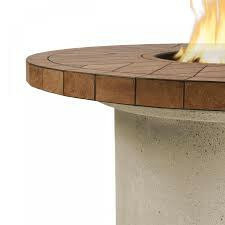 - Limited Warranty: 1 year on the fibre-concrete finish and all components. Basic assembly required.